We invite all interested researchers, lecturers and students to a hands-on theory course to learn about the research tool Proteopedia (http://proteopedia NULL.org), given by Dr. Jaime Prilusky, Head of the Bioinformatics Unit at the Weizman Institute of Science, Rehovot, Israel. The course will be given in Spanish. 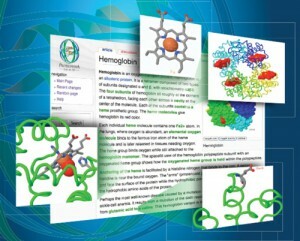 Proteopedia (http://proteopedia.org/ (http://proteopedia NULL.org/)) – analogous to Wikipedia – is an interactive resource which facilitates the teaching, study and understanding of three-dimensional protein structures and their role in biological function. Protopedia is widely used in scientific research, for preparation of publication manuscripts and for teaching of biochemistry and medicine from secondary school to postgraduate level. This introductory session will provide the required knowledge to use this research tool for future work. Hands-on session with the aim to create your own entry in Protopedia about a protein of your interest.